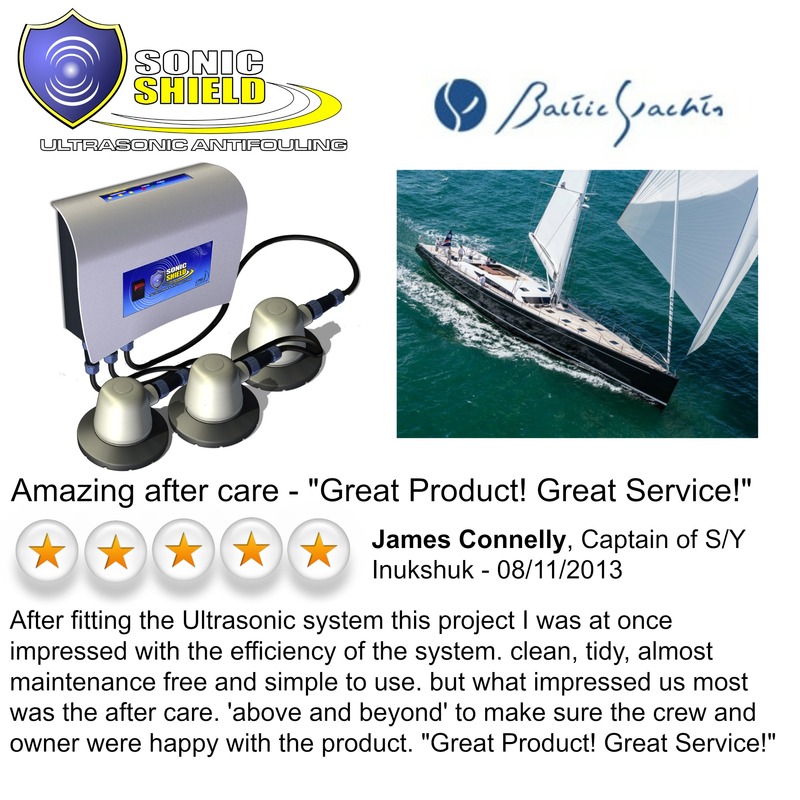 SonicShield uses pulses of Ultrasonic frequencies to deter micro organisms from attaching themselves to your motor boat or sail boats hull. 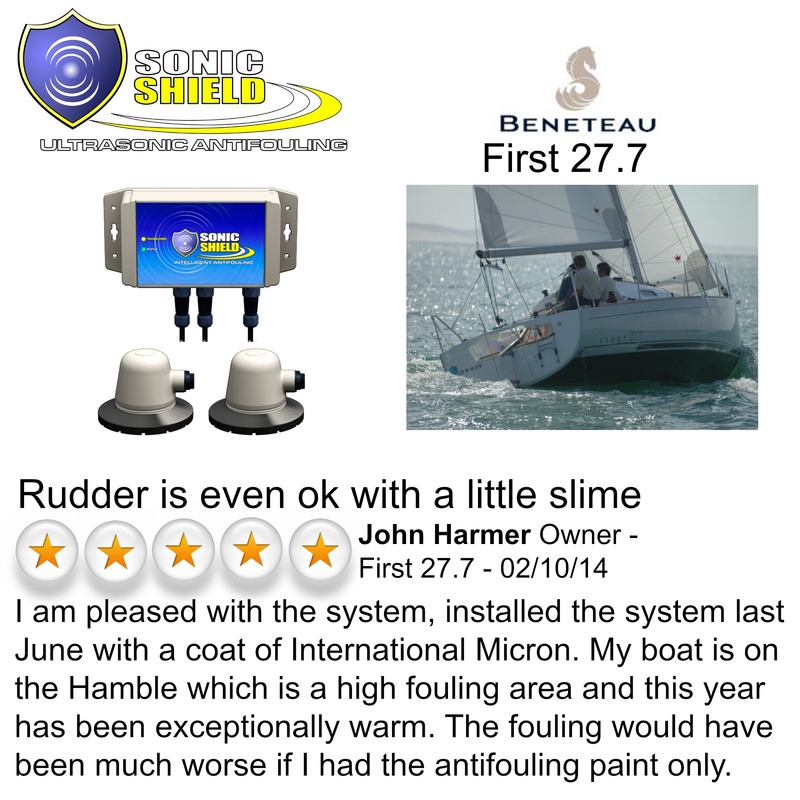 The removal of these micro organisms is important in the antifouling process as their presence create a habitat / food source for larger aquatic organisms such as barnacles. 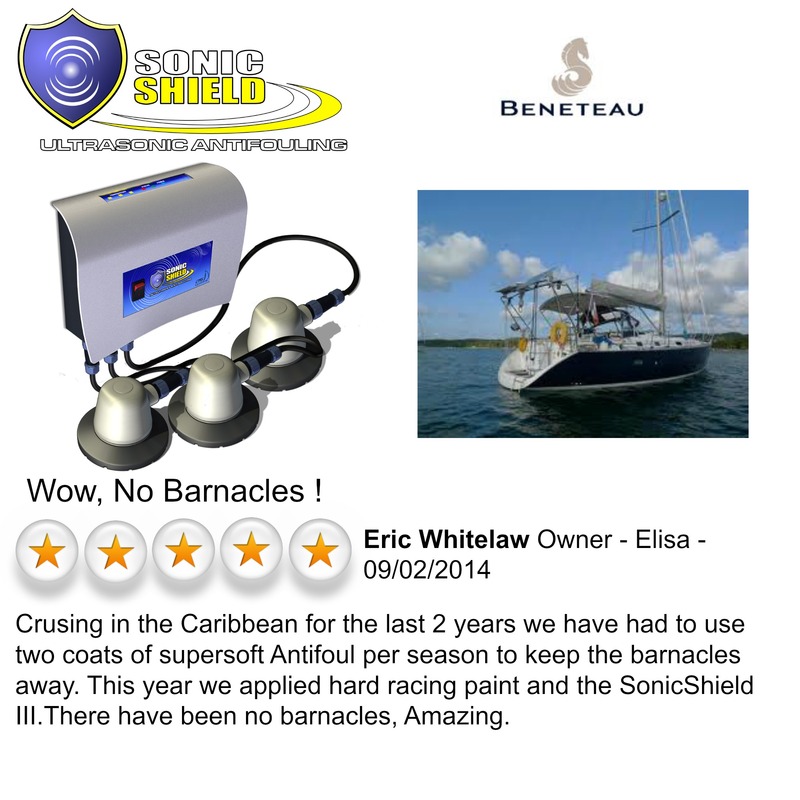 The Ultrasonic frequencies are delivered to the boats hull through a series of transducers that are attached to the inside of the bilge area meaning no through hull drilling is required. The transducers are then connected to a control unit that is intelligently controlled to ensure the optimum power (12v/24v or 110V – 240V) is supplied for maximum cleaning efficiency. 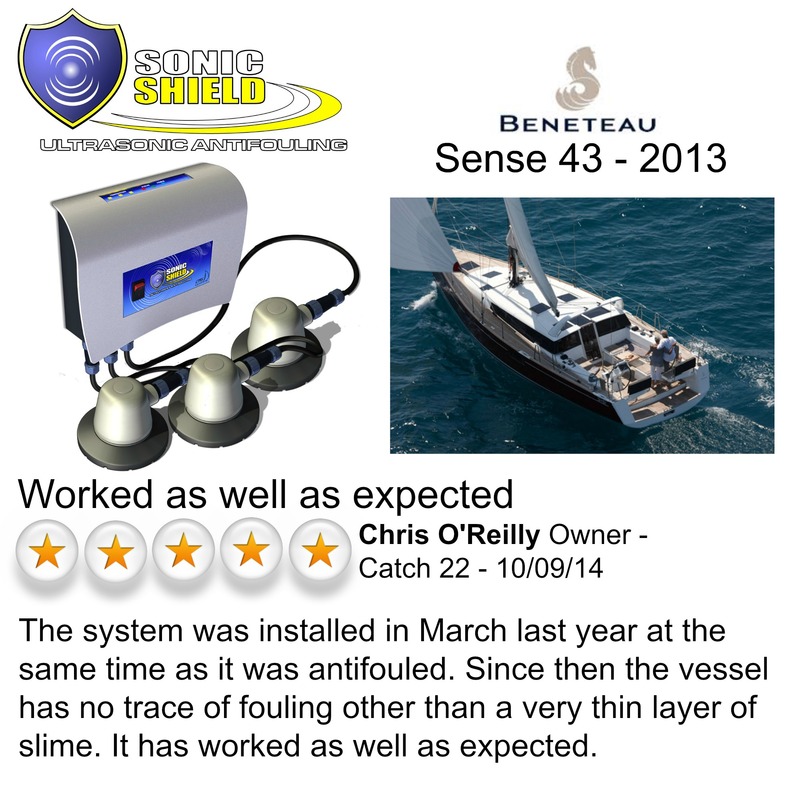 The pulsing of the transducers creates areas of negative and positive pressure resulting in micro jets surrounding the boats hull leading to the destruction of the single cell micro organisms (Algae). 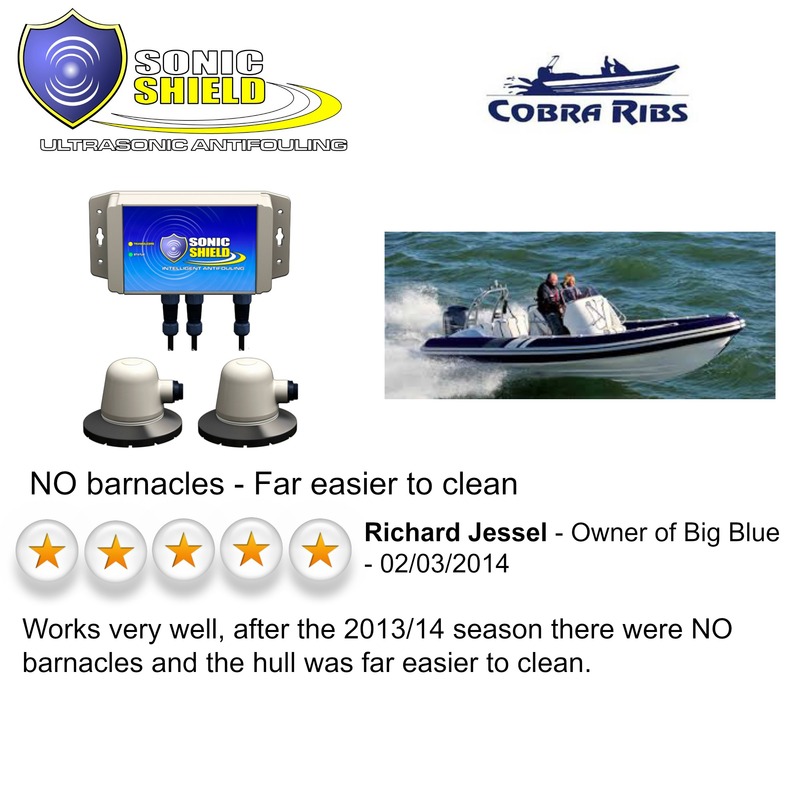 This pulsing effectively creates an invisible shield around the boats hull protecting it from these micro organisms commonly referred to as Bio-Film. This Bio-film is the first stage in the overall marine food chain and the removal of such Bio-foul results in the removal of the food source for larger aquatic wildlife such as barnacles. The ultra high frequencies are not harmful to humans, fish, plant life or any other marine based life forms. 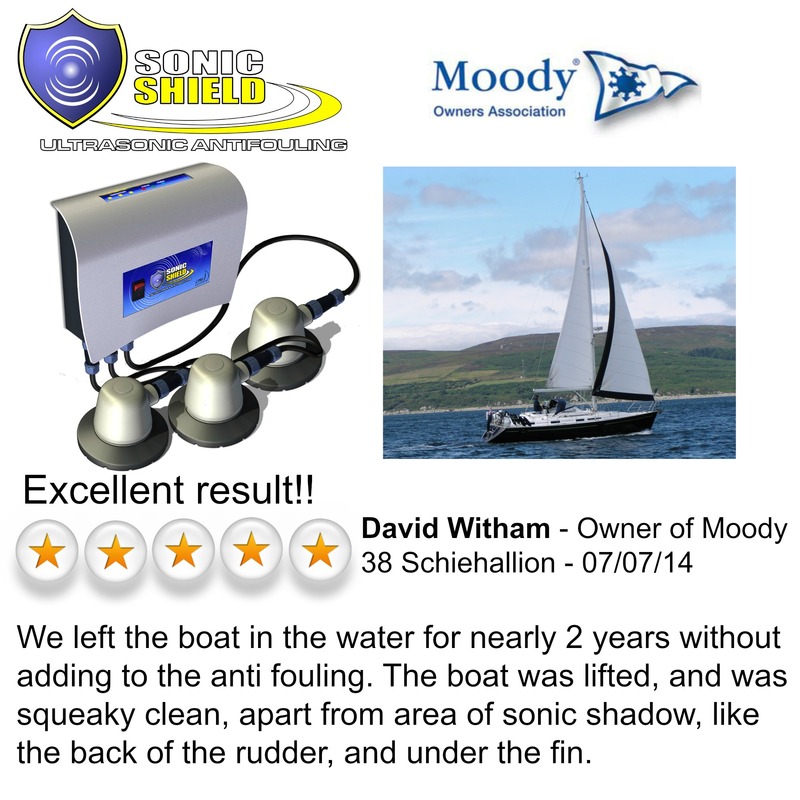 It is the food source for most types of fouling and is the reason why boat owners apply Antifouling paint year after year to protect their boats hulls. 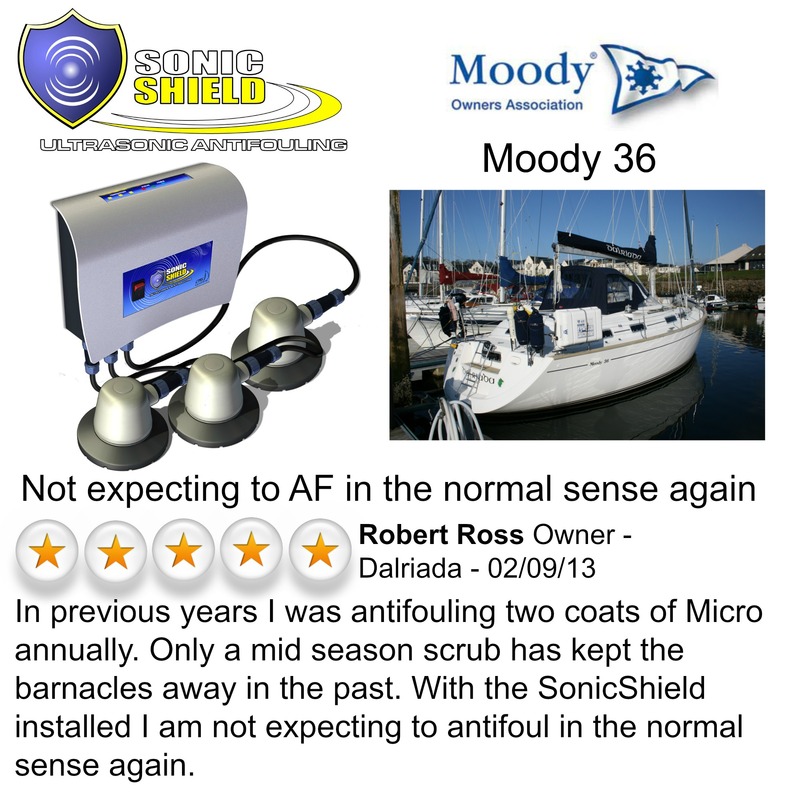 Effective removal of Bio-Film is paramount to all antifouls. 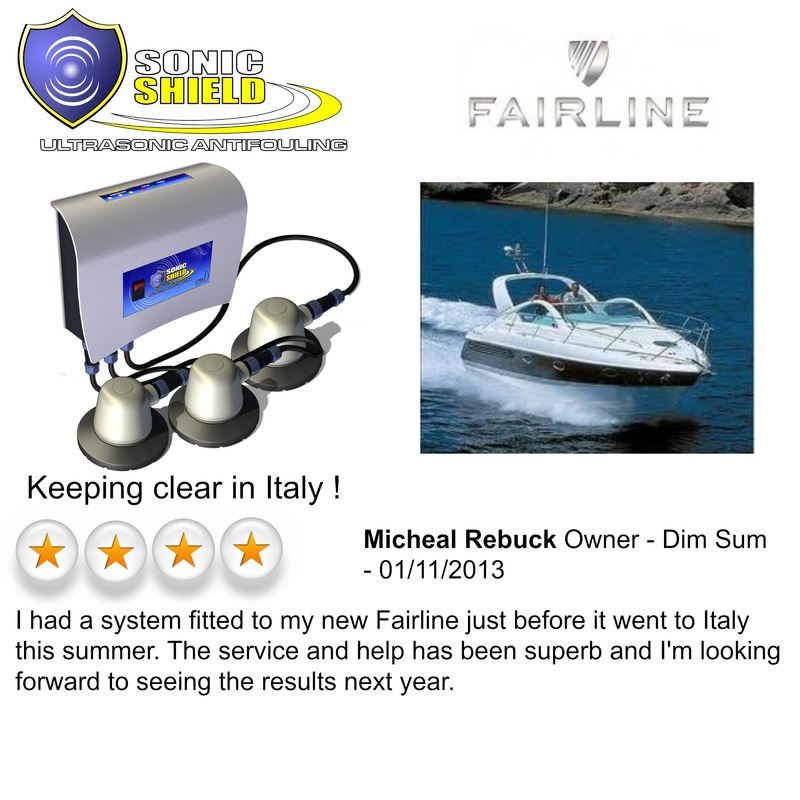 The SonicShield systems uses frequencies that have been proven to kill the Bio-film in the early stages, stopping the dispersion and subsequent colonisation. All Ultrasonic systems that we are aware of work to a degree. They all produce similar Ultrasonic frequencies as these are the ones known to reduce bio-film. 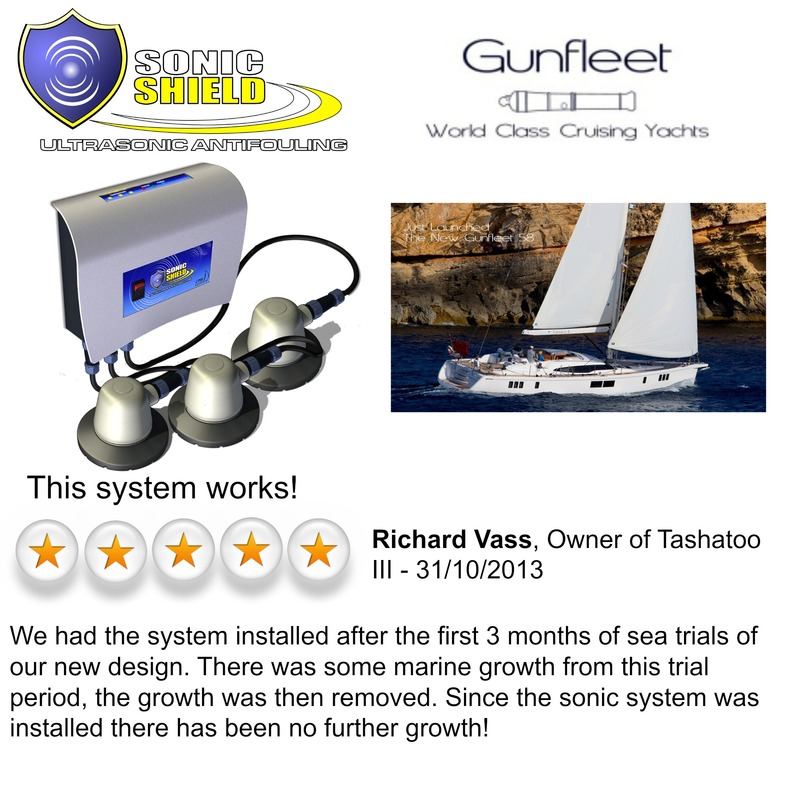 The SonicShield system has been designed and developed in the UK by a company with over 32 years experience in electronic development. 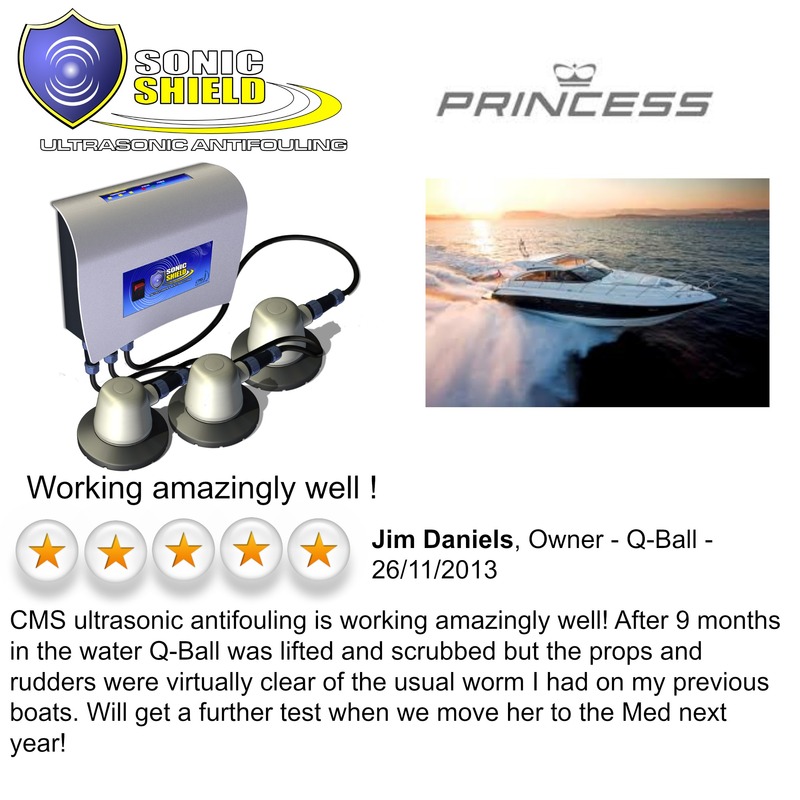 The SonicShield system is the Most powerful system available due to the unique way we supply power to the transducers. When and AC supply or a increasing DC supply is detected the SonicShield system will increase the power supplied to the transducers by up to 50%, conversely when the DC supply is decreasing the system will lower the power. It is one continuous monitoring process. 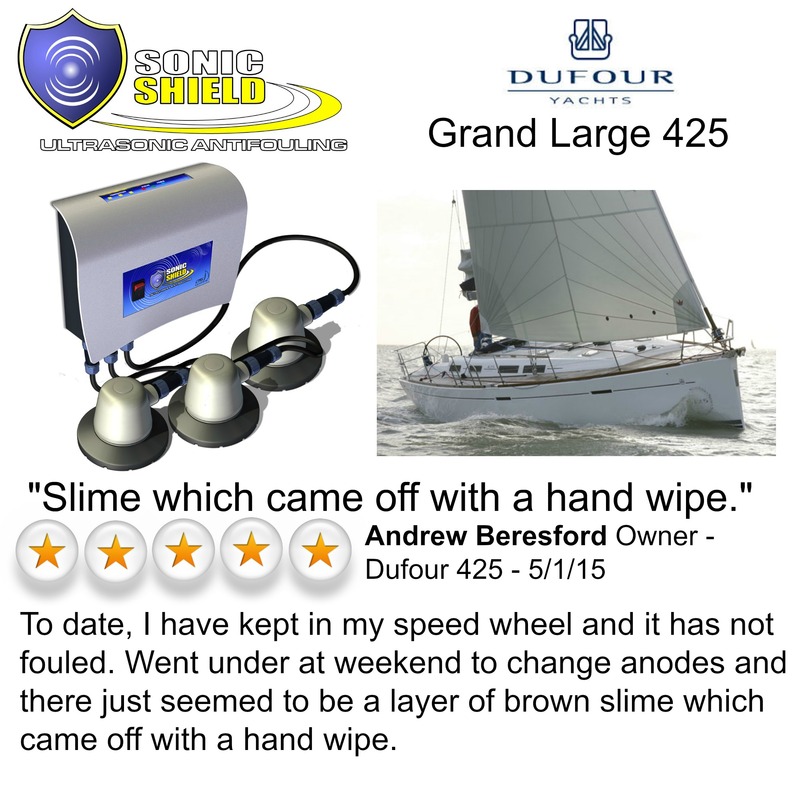 More transducer and More power = More cleaning.